How do I delete ads? Can I delete my ads in Qwaya? 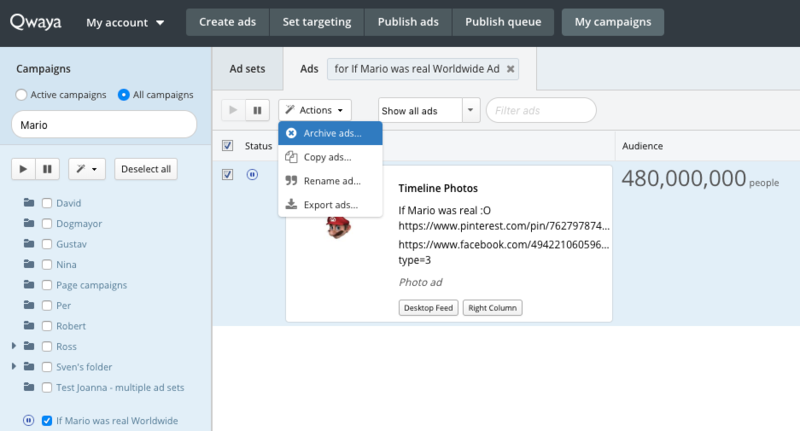 To delete one or more ads, navigate to ‘My campaigns’ and go to Ads view. In the left sidebar, select the campaign containing the ads you want to delete. At present you're unable to "Delete" Campaigns, Ad Sets or Ads from Facebook in Qwaya.